My name is Seyed Ali Akhavani. I am pursuing a BSc degree in Computer Engineering at University of Tehran, School of Electrical and Computer Engineering. I'm interested in computer science especially in information assurance, privacy preserving networked systems, computer networks, blockchains, and social networks. 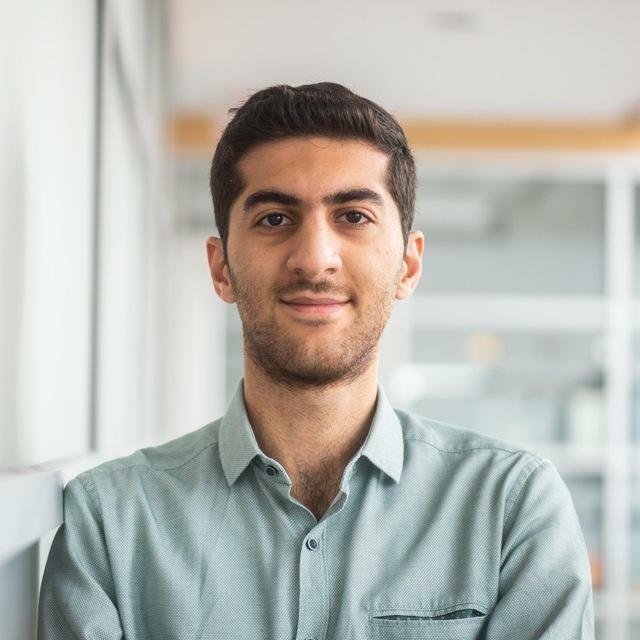 I'm a research assistant under supervision of Dr. Ghanbari and Dr. Bahrak working on extracting bitcoin transaction data and analyzing transaction graph. Meanwhile I'm working at Tap30, a private-cab e-hailing and ride-sharing platform providing service to companies and individuals. I'm planning to apply to a graduate program in computer science. Developed back-end of Tandori web application which ranked 3rd in Iran Elecom-Stars Annual Exhibition. A contest that simulates planning game. Its goal is to teach agile programming to students via real world problems. Ranked 402th (regional rank) and 681th (national rank) among about 350,000 contestants. Ranked 57th (regional rank) and 93th (national rank) among about 150,000 contestants. Working on extracting transaction data from different cryptocurrency blockchains. Also analyzing different types of cryptocurrencies' transaction graph. Including Bitcoin and Ethereum. Developing and Benchmarking different types of messaging and event systems for micro services. Including message queues, pub-sub messaging, and stateless http messaging. Data: Developing automatic pricing model via analyzing requests. Platform: Developing and benchmarking event passing system for micro services - optimizing binary object storage. Infrastructure: Setting up distributed cache system, distributed file storage, and containerization. Lambede is a platform that connects people who need to find local services, with people who are looking to earn money and ready to work. Datanik is a company that provides network and data solutions to third parties. I crawled different movie subtitle and analyzed the hardness of a movie language level. Organizing contests, talks, workshops, and classes including: UTsec, Panjere, ACM ICPC, XP Game, Summer Classes, Soft Skills Classes, and F1 Magazine. F1 is a quarterly magazine which contains computer science related articles. 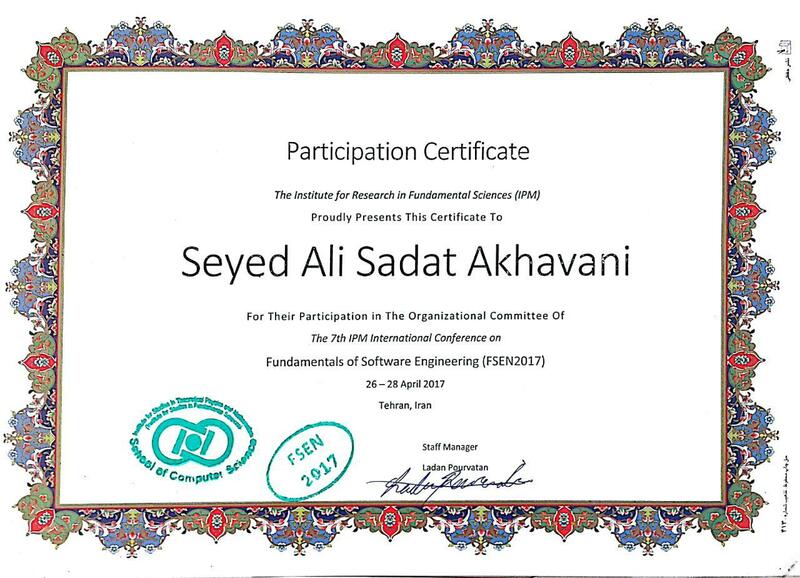 Big Data issue was chosen as the best scientific magazine of University of Tehran. Teaching web development with Node.js, HTML, and CSS to new computer engineering students which led to "Postchi" web application. Setting up wired and wireless networks in different university faculties. Also developing live streaming system for university. Advising new ACM chapter officers to organize contests, talks, workshops, and classes including: Panjere, ACM ICPC, and F1 Magazine. Designing computer assignments, course project, and grading. Designing computer assignments, quizzes, and grading. Designing course main project, and grading. Designing computer assignments and grading. Designing exams, solutions, and handouts. Tandori is a social media for foods and drinks where you can follow your favorite chefs, search foods, or even get cooking recommendation for your ingredients. Tandori was selected by Elecom Stars as the 3rd Best Web and Mobile Application in iran-elecomp exhibition. An application that uses advanced path finding algorithms to rescue injured people in the map. Using Java. I draw different kinds of 2D animation characters in my free time. I'm Certified lifeguard since in Alavi High School Since 2013. I love camping in nature and hiking. I've gone to a lot of places including mountains, desert, and valleys.